Woollatt Building Supply stocks the Hilti line of firestop products. With such a large selection of firestop products it is best to call one of our sales staff for your specific needs. 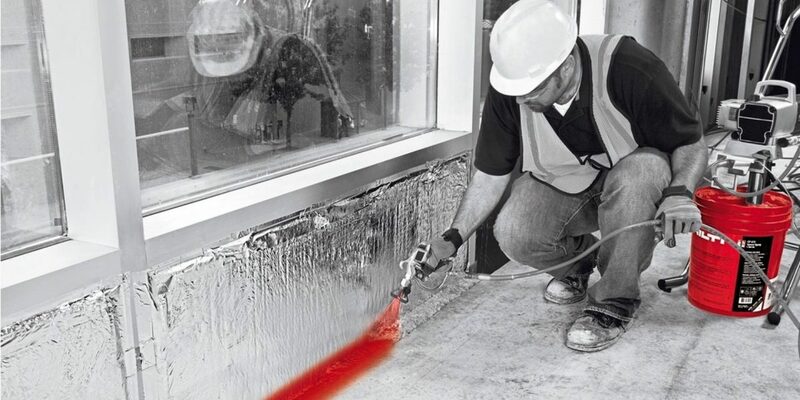 ABOUT HILTI: Hilti offers products, systems and solutions for every application on the jobsite. Whether their customers work in construction, civil engineering, energy, mechanical, electrical, steel and metal, or interior finishing, Hilti is there to help them build a better future. Hilti products and systems include powder-actuated fastening, drilling and demolition, diamond coring and cutting, measuring, firestop, screw fastening, adhesive and mechanical anchoring, and strut and hanger systems. And that’s only the beginning. Every Hilti product and system is backed with research, training, software, service and support. This logo links to our contact page.